Outer Diameter : 1/16” through 3/4"
Aesteiron Steels manufactures seam-welded corrosion resistant alloy (CRA) coiled tubing products for a variety of upstream oil and gas and geothermal applications. ASPL has extensive experience in producing coiled tubing from duplex, nickel alloy and stainless steel grades to industry and customer-specific requirements. Coiled tubing is available in lengths from 100 feet (30 meters) to 100,000 feet (30,000 meters). ASPL can also supply Long lengths by utilizing a combination of strip splice and tube-to-tube orbital welds. 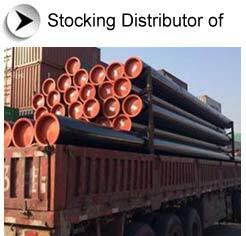 Diameters range from .250 inches (6.35 millimeters) to 1.75 inches (44.45 millimeters), with wall thicknesses up to .160 inches (4 millimeters). Specialized features can include cold working for higher yield strength, intrusion-free orbital welds and a minimized number of orbital welds. 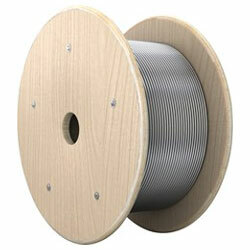 Tubing can be coiled onto IPPC-certified wood or metal reels customized to the users' specifications. Applications include capillary tubing for chemical injection, bare and encapsulated hydraulic control line for subsea safety valves, velocity strings, work strings, and steel tube umbilicals. ASPL manufactures the Polished stainless steel medical coil tubing and Metric stainless steel tubing. It provides one of the best quality range of polished stainless steel medical coil tubing and metric stainless steel tubing. Medical coil tubing is made from a variety of materials. Polished stainless steel medical coil tubing are polished stainless steel tubes which are used in making coils in medical equipments.